This example, though extreme, is not unusual in the attitude foreign correspondents take when covering Africa. It is seen as one endless loop of famine, disease, chaos and wanton violence. Correspondents arrive looking for the thrill of their careers and are only too happy to chase the goriest, most devastating story. They tend to write these accounts with all the verve and poetry they can muster. To be fair, there is good reason for this negative coverage. Africa has had more than its fair share of cartoon dictators, senseless wars and plagues wrought by nature. 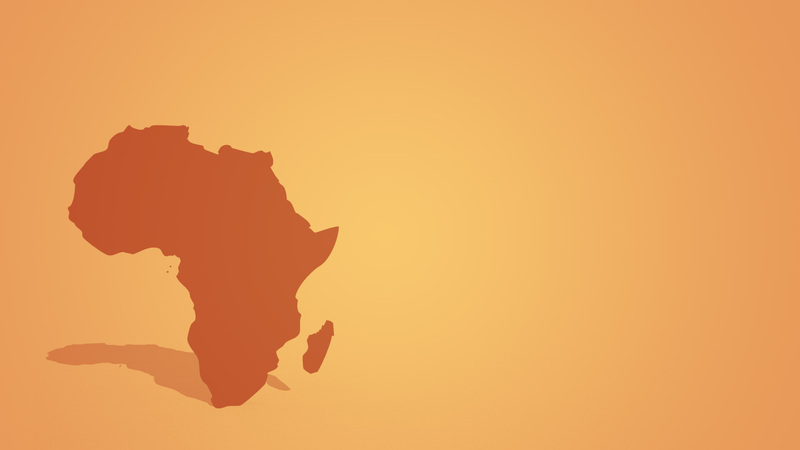 Reporters have followed the mantra of “if it bleeds, it leads,” for years and one should not expect the reporting on Africa to be any different. Journalists on the continent are under no obligation to write soft, feel good stories when so much despair still exists. But a close observer of media coverage of Africa will note that there is something different at work on the continent. Reporters seem all too willing to take on a specialized reporting style that strives for poetry but lacks humanity. 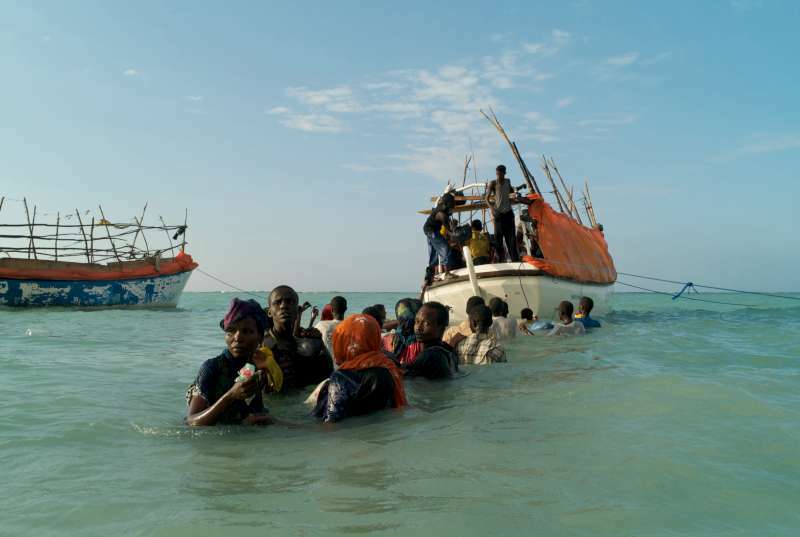 Take an October 2013 incident when a rickety boat carrying hundreds of migrants from Libya sank on the way to Lampedusa, an island located off the coast of Italy. The tragedy claimed the lives of over 300 people. A boat carrying hundreds of migrants from Libya sank on the way to Lampedusa, an island located off the coast of Italy. An event of this magnitude hasn’t been recorded in many years despite the fact that many migrants from the Middle East and Africa have taken the same perilous path seeking better lives. What was so significant about this tragedy is the fact that it was covered extensively. 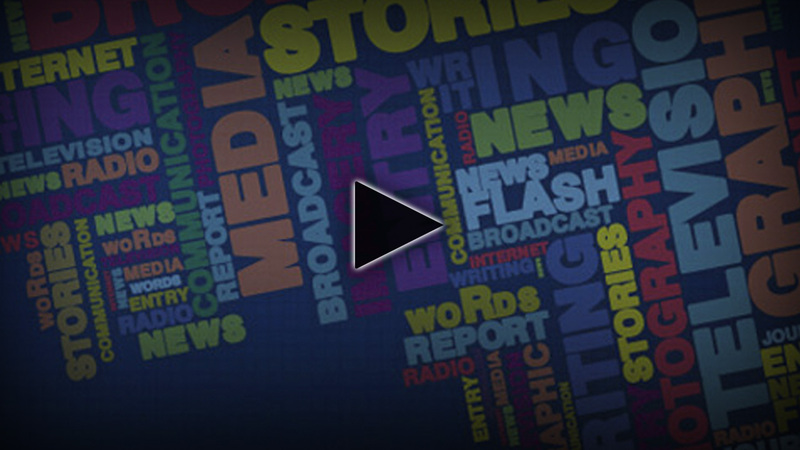 One of the media outlets which devoted some space for coverage was The New Yorker. In an article penned shortly after the incident, a staff writer, Sarah Stillman, painted an image of the people who lost their lives during the tragedy. Below is how she opens her piece. Comparing the shrieks of the drowning to seagulls paints a vivid picture, but it might not have been chosen by a reporter covering another disaster. To most readers it would have seemed out of place in coverage of the recent ferry tragedy that has claimed the lives of dozens off the coast of South Korea. It is similarly telling that the first reaction to the incident is shown through the eyes of Italian yachters. The survivors and victims’ families will have to wait to tell their stories. Such unconscious distancing of the subject occurs often in Africa coverage where reporters often seem to arrive on the continent, figuratively, wearing the pith helmet of explorers from a bygone era. In 1993 the usually diligent writer and historian Robert Kaplan travelled to West Africa for the Atlantic to write about a “demographic time bomb” about to detonate in the region leading to overpopulation and chaos. That, of course, never happened. But his descriptions of the young men he saw in the Ivory Coast was telling of his outlook. It is not unusual for a westerner to justifiably feel swarmed by hawkers and street vendors when he or she enters a major African city. But the description of “hordes” of young men with “restless” and “scanning eyes” who behaved like “loose molecules” is clearly dehumanizing. Undoubtedly Kaplan attracted more attention from the young people because he stood out as a foreigner, but he also projected his fear onto the people who surrounded him. Would an African writer have described the scene differently? Perhaps the “hordes” of young men would have looked more like small groups. Perhaps the “scanning eyes” would have looked to an African reporter like a good salesman keeping his eyes peeled for other customers. In 2011, Ivory Coast was once again in the news after a standoff between the two contesting presidential candidates that lasted more than four months. Once the dust cleared, hundreds were dead and more than 1 million displaced. On April 11 of that year, the former president Laurent Gbagbo was arrested and rightfully elected president Allesane Ouattara was able to take the reins of power. 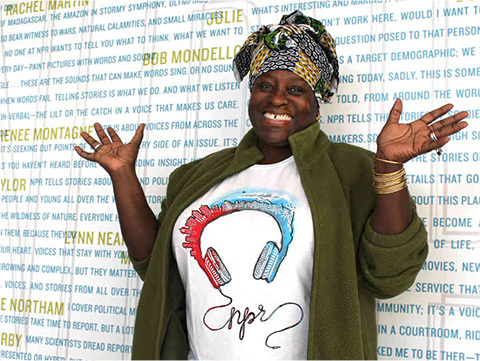 At the hight of the civil war, I talked by phone to Ofeibea Quist-Arcton, who is a journalist and broadcaster originally from Ghana who reports for National Public Radio on issues and developments related to West Africa. I include this example (click link for report) not to celebrate Quist-Arcton or diminish Smith as reporters, they’re both excellent, but show how different the same scene can look to people of different backgrounds. Even in the relative chaos of a war, Quist-Arcton, a native African, was able to move about freely and gave a different angle on the stories. It is doubtful that she saw the Ivory Coast conflict as the inevitable ignition of an unstable community as Kaplan had. Instead, she saw the human element, the ethnic, religious and colonial history and many other things that made up the rich stew of Ivory Coast. A corollary to this is what Don Heider in his book “White News: Why Local News Programs Don’t Cover People of Color,” calls “incognizant racism.” Heider said that inclusive coverage becomes the victim when journalists have a predetermined belief of what’s expected of them. Many foreign correspondents exhibit incognizant racism when they arrive on the “hopeless continent” prepared to paint a picture for their readers, viewers or listeners. An African perspective may not be as flashy, but it can often add nuance and uncover hidden stories. Heider shows the same is true covering minority communities in the United States. 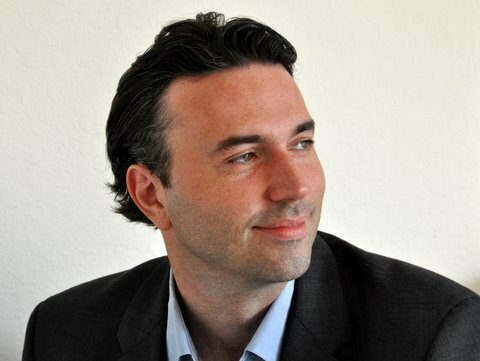 In 2005, the New York Times columnist Nicholas Kristoff pointed out that, at the height of the crisis in Darfur, the major television news networks had barely reported on it. For the entire year, ABC News dedicated 18 minutes to Darfur, NBC devoted 5 minutes and CBS spent a paltry 3 minutes. By contrast, the Martha Stewart trial received a combined 130 minutes of coverage. If the genocide in Darfur received barely a yawn from the news outlets, other issues barely stood a chance. Kristoff wrote that only one network had even bothered to send an anchor to Africa that year. It was ABC which sent Diane Sawyer there to interview Brad Pitt. 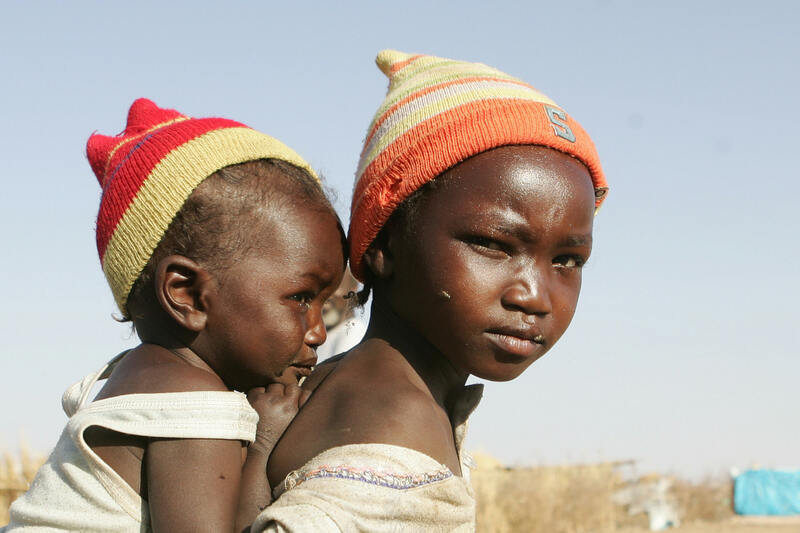 A displaced Sudanese girl carries her sister at the Otach Displaced Persons camp in the city of Nyala, in Sudan’s strife-torn Darfur region, 22 February 2007. 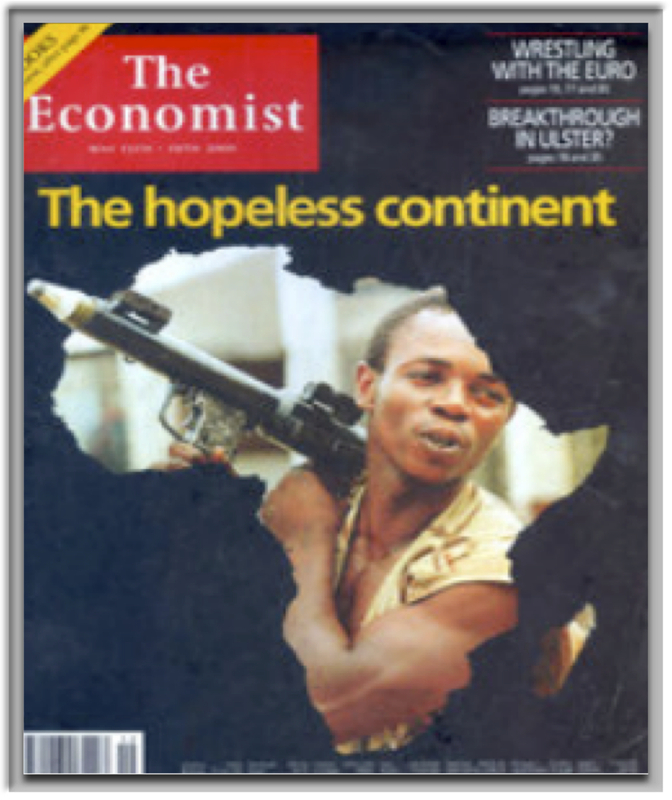 When Africa does receive coverage it generally comes in the form of doom and gloom. This is what CNN Africa correspondent, Jeff Koinange, referred to during a panel discussion among African journalists as the 4 D’s — Death, disease, despair and desperation. Even when news about poverty, AIDS and corruption are reported, most local reporters agree that they are reported without context or the same specificity that would be used to cover a tragedy in the West. In another discussion about the coverage of the continent, Kristoff reveals that it is very difficult to market stories on Africa. 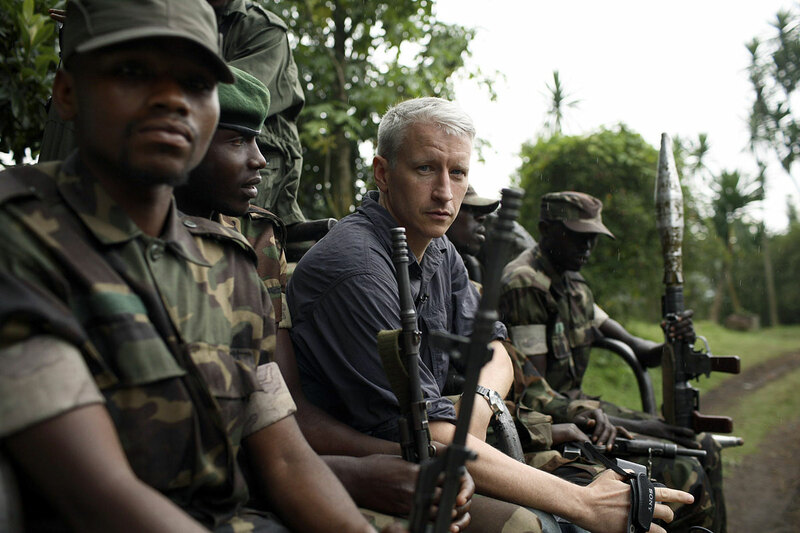 In 2006, CNN’s Anderson Cooper for instance prepared a live report on the Congo but in turn lost 20 to 30 percent of his audience by doing that. A scene from Anderson Cooper’s coverage of the Congo. Most readers will, rightfully, shake their heads in disgust at this unimaginably horrific scene. But to the seasoned journalists, something is awry. A trail of corpses stretches for miles? Did Gettleman attempt to count the corpses? Isn’t the first rule of journalism to collect facts? Could a Pullitzer Prize winner simply see this “trail” and not investigate it further? Imagine Gettleman had been working in Tampa, Fla.—he previously worked at the Tampa Bay Times–and came back with a similar story. The first question his stunned editor would ask is “how many bodies were there? I need details about cause of death?” In Africa, such journalistic principles fall by the wayside. It is assumed there will be trails of corpses. Editors accept it. Readers accept it. Reporters can’t be bothered to be too specific. They’re there to paint pictures with words, after all. This attitude surpasses boundaries and applies to all writing. Africans have too often been defined and portrayed in ways they don’t agree with because they have not had control of media. There is also the barrier of understanding. Few western reporters bother to learn local languages or much about the culture beyond the broad brush strokes. In a 2014 Op-Ed published by al-Jazeera, Nanjala Nyabola, a Kenyan studying at Harvard Law School points out that English and even Swahili are languages used most often in formal settings by many East Africans. For true understanding of what is happening, an observer needs to hear conversations in languages like Kikuyu or Dinka. These misunderstandings result in complex conflicts like those in Sudan, Rwanda or the Central African Republic being described in very simple terms as issues of Muslim versus Christian or tribe versus tribe, Nyabola wrote. Africans are generally in the position where foreign writers, documentary film makers and others tell their stories for them. This phenomenon can be viewed through media which has regularly told African stories through the prism of “white saviors.” The examples of this are numerous. 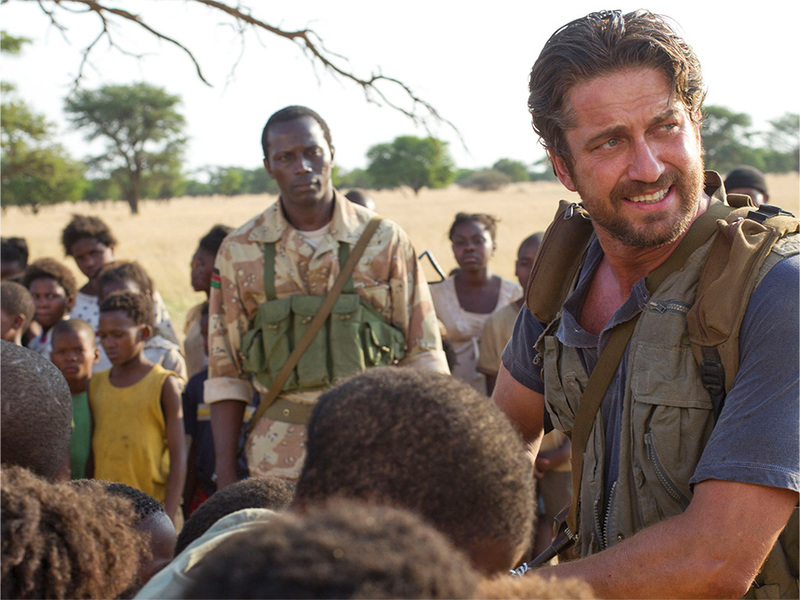 The conflict in Sudan was dramatized on the big screen as “The Machine Gun Preacher,” the story of a white missionary who fought rebels in the region. The famine in Ethiopia was made into a movie, “Beyond Borders” starring Angelina Jolie. Even the movie about the Rwanda genocide, “Hotel Rwanda” had room for a white protagonist, a U.N. peacekeeper, and white antagonists played by the slow-footed, calculating world leaders who refused to intervene. 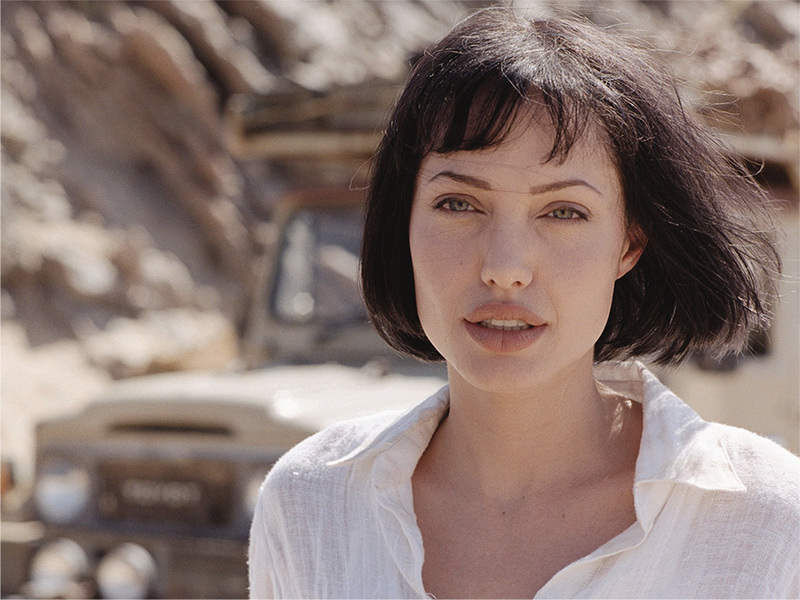 Angelina Jolie starred in “Beyond Borders,” a movie about the famine in Ethiopia. 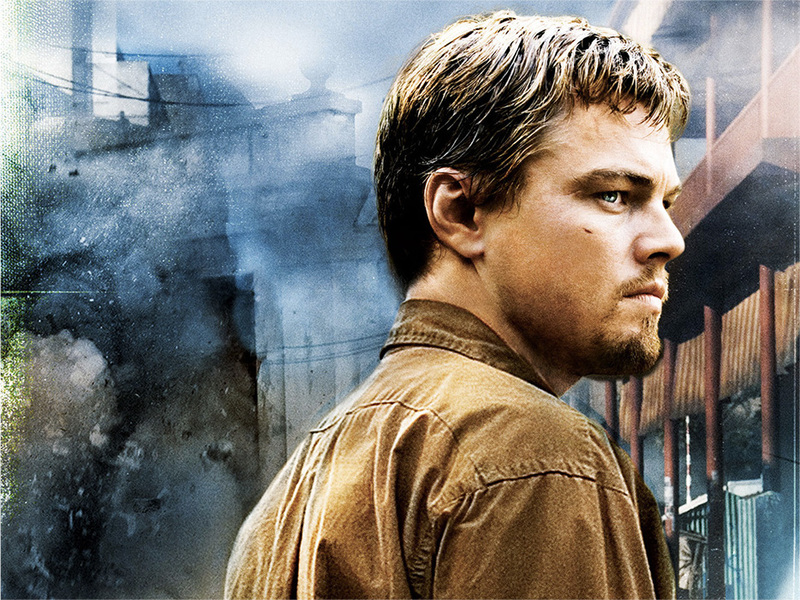 A poster from “Blood Diamond,” starring Leonardo DiCapro. 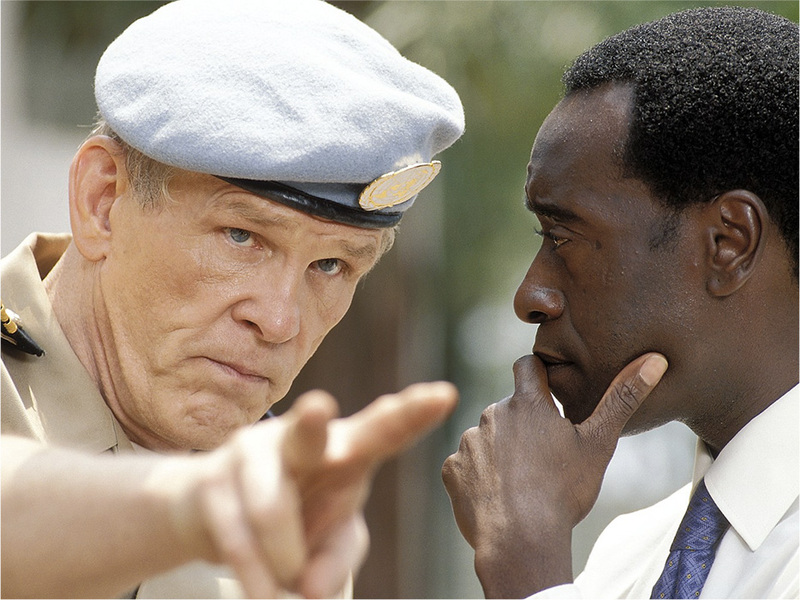 Don Cheadle and Nick Notle starred in “Hotel Rwanda,” a movie with a white protagonist U.N. peacekeeper. A scene from “The Machine Gun Preacher,” the story of a white missionary who fought rebels in the region. Hollywood, like the work of many foreign journalists, has difficulty putting fully-formed, complex African stories at the center of a narrative. For that reason, it seems vitally important that, like Okeowo urged, Africans tell their own stories. From Cairo to Cape Town, the African media is thriving like never before but is also under attack. In the past two years, newspapers have been shut down by government orders in the Ivory Coast, Uganda and Liberia. Many other countries including Ethiopia, Eritrea and Sudan have virtually no independent media at all operating domestically. But at the same time, bloggers and brave journalists are staking out new ground and reporting untold stories. 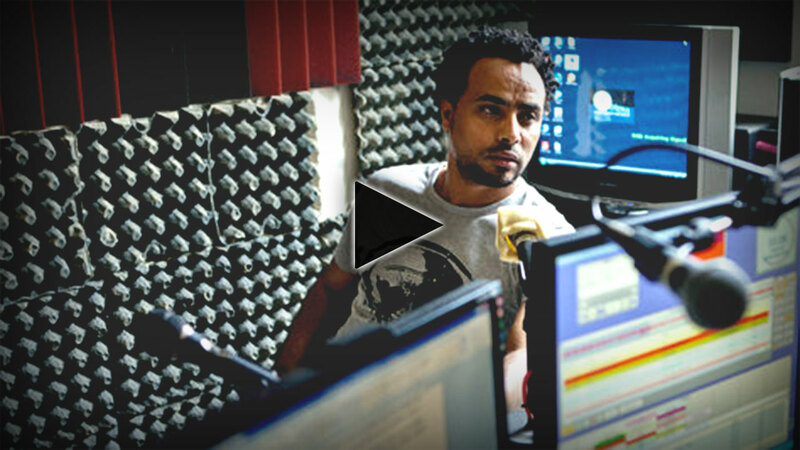 One example is Radio Erena, a proudly independent radio that is based in Paris broadcasting news to Eritrea via internet. It reports the news from within and outside Eritrea on a daily basis and through a large network of stringers and informants.